Easily get the colour you want - watch our step-by-step video below! Merv Moriarty has just released the innovative Moriarty COLOUR Mixing System - Easily get the colour you want: no more guessing! 'The best colour wheel available.' Rotatable Plotter 'plots' the result of any two colours when mixed together. 'It works!' Beginners master colour mixing immediately. Experienced colourists plot alternative combinations of pigments to match a colour exactly. Designed and made in Australia. See the colour. Plot it. Mix it. It includes a Three-Section Colour Wheel and a Rotatable Colour Path Plotter. 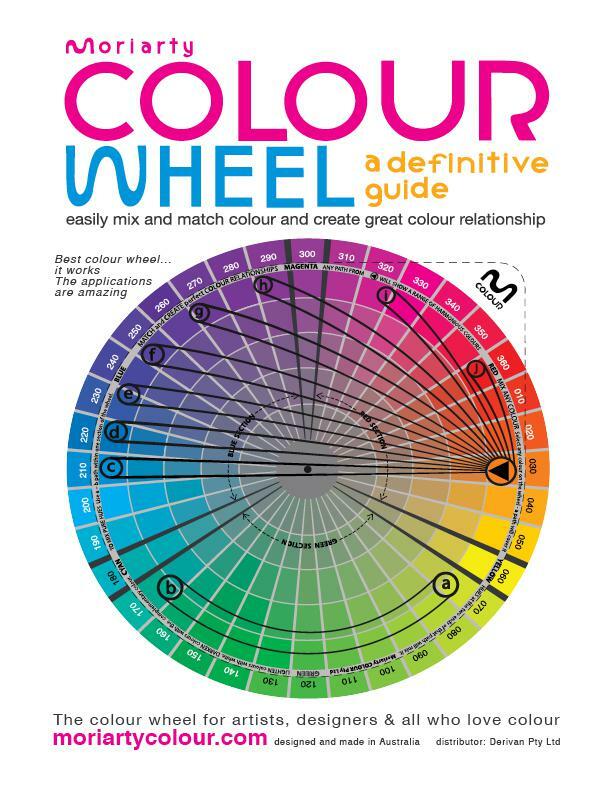 Simply rotate the plotter around the colour wheel to find accurate combinations of colours. No more guessing! The Moriarty COLOUR Mixing System also includes a tone scale with chroma points, detailed instructions on how to use the plotter, information about the Moriarty Three-Section Colour Wheel and Basic Principles of Colour, plus some Colour Mixing Exercises. 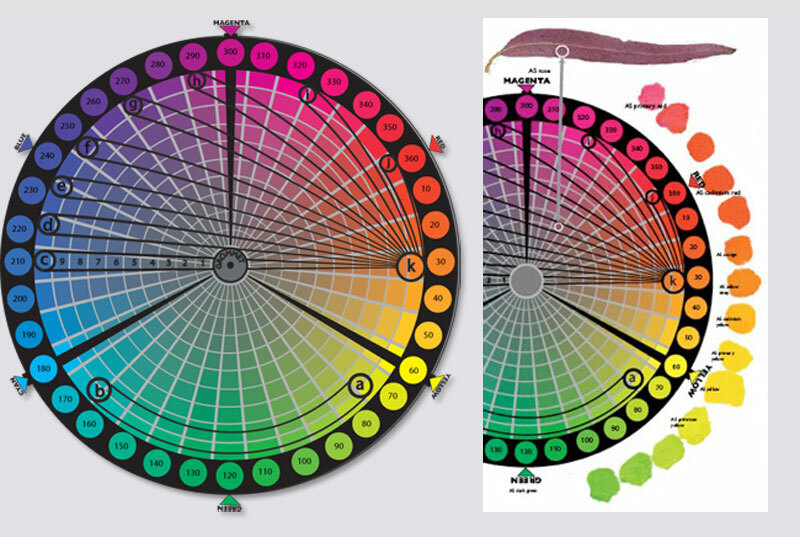 Click here to DOWNLOAD the new information on how to plot your own COLOUR story. Merv Moriarty answers frequently asked questions about the Moriarty COLOUR Mixing System for painters and designers.